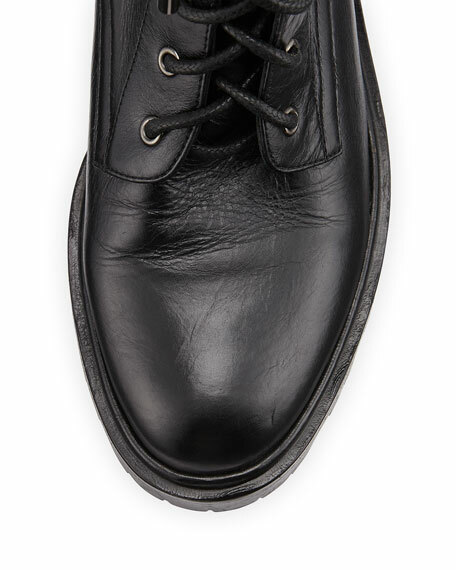 Joie tumbled leather combat boot. Padded leather insole; fabric/leather lining. For in-store inquiries, use sku #1556131.